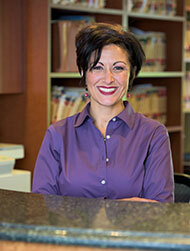 We recognize that all our patients are unique and deserve dental care that reflects their individual needs. 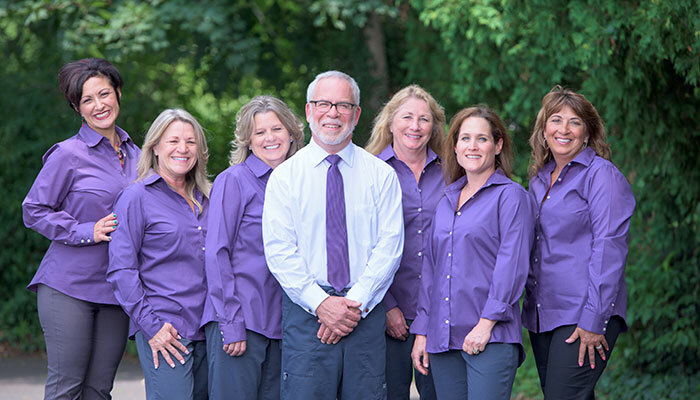 Our experienced and talented dental team is committed to working with you and your family to create a comfortable, stress-free and rewarding dental experience every time you visit our practice. I am our patients’ first point of contact. I meet and greet them when they enter the office. I work with patients who need financial arrangements for their dental treatment, and insurance companies regarding inquires and appeals. I am responsible for receiving feedback from patients on how we can better serve them. Though my education and background is in finance and education, my communications training has helped me get to know our patients and assure them that we are here to help them and give them the best possible care. My favorite part of the job is seeing our patients every day, getting to know them, and making sure their experience at our office is the best it could be. Dr. Hudis is extremely gifted and eager to spread his knowledge. He is very approachable and always willing to teach. 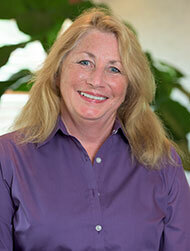 Our team of highly experienced staff work together in a unified way to represent our practice. I am married to my husband Keith, and we have a loving dog named Violet. We love the shore and traveling whenever possible. I also have three grown children, with whom I love to spend time. As our scheduling coordinator, I take pride in helping our patients find the date and appointment time that works best with their busy schedules. One of my many responsibilities is handling incoming calls, as well as placing follow-up calls, so our patients’ care is never neglected. I work very hard to keep our patients’ information current in their individual files. Since I am a “people person,” I enjoy the daily interactions with our patients, whether it be in person or by phone. I also love being surrounded with a like-minded, devoted, and hard-working group who all truly care about our patients’ needs, as I do. When I am not working, I enjoy cooking, watching the latest horror movie, playing board games with my family, helping out with the local food banks, and going on long hikes or nature walks. 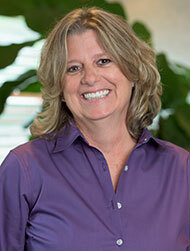 I have been a hygienist in our office for almost 20 years. I provide comprehensive dental hygiene care, including prophylaxis, radiographs, periodontal therapy, and homecare instructions. Dr. Hudis is very supportive and has provided us with a high-tech office. We perform comfortable and comprehensive care for our patients every time they visit us. We want our patients to feel special and cared for in our office. I truly feel this is my home away from home! 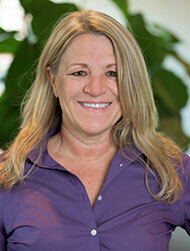 In addition to dental hygiene, I am a health coach and owner of Balanced Healthy Self, LLC. We focus on integrating balance into our clients’ lives through nutrition, exercise, and whole-body wellness. 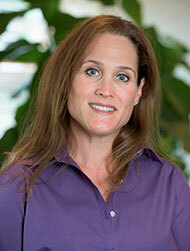 I am a marathon runner, cross-country coach, and advocate for Duchenne’s muscular dystrophy. My husband is Michael and we have two children. We find balance as a family through running, hiking, and travel! As a registered dental hygienist, I perform dental hygiene care, including dental radiographs, prophylaxis, and home care instruction. I am especially focused on handling the anxious patient with compassion. I have been practicing dental hygiene for 18 years and finally found my home in this office in 2005. My favorite part of the job is to provide the most comfortable and calming experience for my patients as I help them maintain their oral hygiene. I love the relationships I’ve built with my patients over the years and look forward to catching up with them during their appointments. After work, I spend time with my family. My husband James and I have two children named Danielle and Michael. We also have a cat, Omie. I enjoy swimming and exercise of all kinds, and am very interested in nutrition. As a registered dental assistant, I consider myself to be knowledgeable in the dental field and serve as patient advocate. 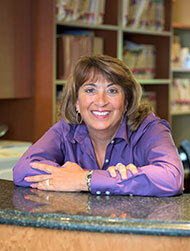 I have worked for Dr. Hudis since 2001, though my experience goes back more than 35 years. Our office has state-of-the-art technology and cutting-edge patient care, which makes me proud to work in such a fine office. I take pride in my work, especially in the attention to detail I give to each patient. In my hours outside the office I enjoy spending time with my family and friends, practicing yoga, and achieving Reiki mastery. I am also a spiritual coach and owner of Divine Pebbles. My community involvement includes S/A, DV, and homeless advocacy. Welcome! I am a certified dental assistant in our office. I meet each patient in the reception area and bring him or her back to the clinical area. My patients’ comfort is one of my biggest concerns, and I also want them to be as well-informed as possible. I’m with my patients from the start of their treatment to the finish. It’s rewarding for me to be a part of restoring a broken or decayed tooth back to health and ideal function. I feel very fortunate to have worked with Dr. Hudis for the past 14 years. In addition to being an exceptional dentist, he is also one of the most ethical people I know. I’ve been married for 25 years and have three children. We don’t have grandchildren, but we do have a grand-dog, which fits the bill for now. My husband and I love going on weekend getaways whenever we can!